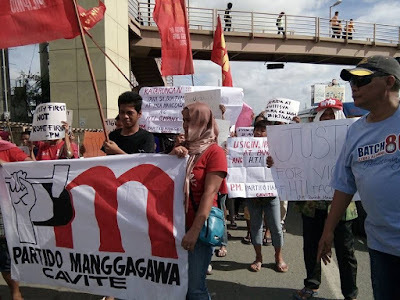 With the massive factory fire at Cavite EPZA finally put out, the group Partido Manggagawa (PM) asked for a transparent probe and the participation of labor organizations as part of the tripartite system. “Given the conflicting reports from government officials on the number of workers missing after the fire, it is imperative to conduct an investigation that is open and inclusive. It is also necessary to verify numerous eyewitness accounts of workers trapped inside the burning factory,” stated Dennis Sequena, PM-Cavite coordinator. He noted the fact that yesterday Cavite Governor Crispin Remulla said six workers of House Technology Industries (HTI) were unaccounted for while Philippine Export Zone Authority (PEZA) Director General Charito Plaza mentioned only one. PM members trooped to the Cavite EPZA last Thursday morning to call for immediate aid to HTI workers and justice for the victims. The Department of Labor and Employment (DOLE) later announced financial assistance for HTI workers. 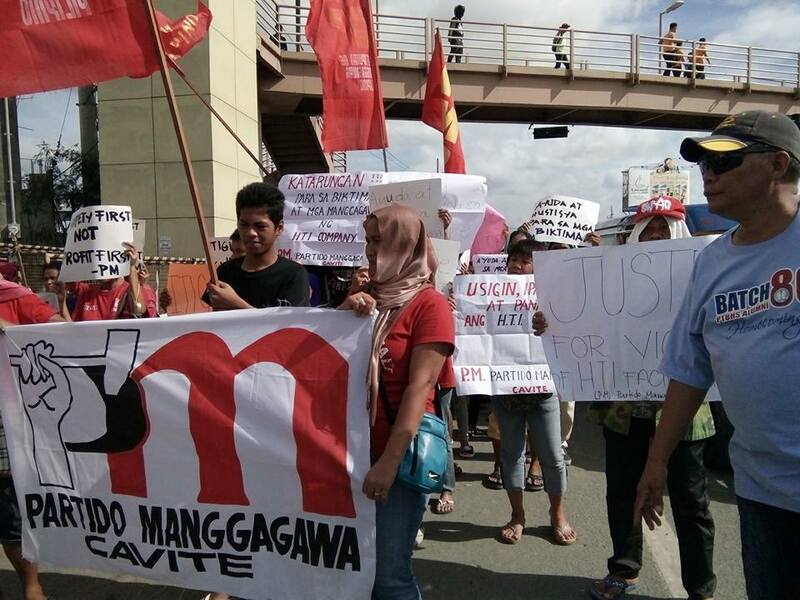 “We call on DOLE and PEZA to form a Task Force Cavite EPZA that includes workers groups. The Task Force Valenzuela convened in the wake of the Kentex industrial tragedy is a good template to follow,” Sequena elaborated. After the Kentex fire that killed 72 factory workers, the DOLE formed the Task Force Valenzuela to conduct unannounced inspections to ensure compliance with labor, occupational safety and other standards. PM is also asking for clarification on the compliance certification issued to HTI. “Is HTI’s compliance based on an inspection by DOLE or based on self-assessment by the company? If it was self-assessment, were workers involved and were they handpicked by management given that HTI is not unionized? Regulations allow self-assessment if the establishment has more than 200 workers. Self-assessment however means that the DOLE is allowing the wolf to guard the sheep and thus we should not be surprised that the sheep gets slaughtered,” insisted Sequena. He averred that despite HTI’s compliance certification, there are apparent occupational health and safety issues since there was a previous fire at HTI in 2012. A 10-hour fire started at the boiler department of the HTI factory in October 19, 2012 and lasted up to early the next day.